Baroness Martha Lane Fox of Soho was awarded an OII Internet and Society award in recognition of her outstanding efforts in reducing digital exclusion in the UK. Co-founder of Lastminute.com in the dotcom boom of the early 2000s, she has subsequently undertaken significant public service responsibilities, most notably having served as the UK Government’s Digital Inclusion Champion and leading the Race Online 2012 campaign. 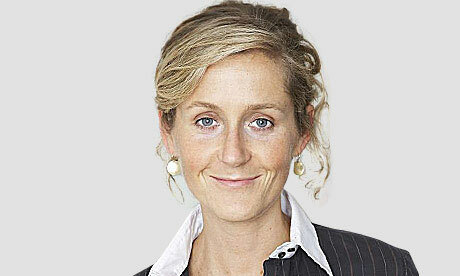 On 16 June 2009, Martha Lane Fox was appointed the UK Government’s Digital Inclusion Champion (2009-2013) to head a campaign to help get more people online and improve digital skills. The Race Online 2012 Campaign sought to help millions of British adults with low levels of Internet use to get online by the end of the British Olympics. By the beginning of 2011 the Race Online 2012 campaign had over 1000 partners pledging to reach almost 2 million adults. Her government responsibilities were further expanded in 2010 when it was announced that she would set up a new Digital Public Services Unit within the Cabinet Office, with a view to helping advise government on the introduction of more efficient digital services. In April 2012, Martha Lane Fox launched Go ON UK, a charity focused on making the UK the world’s most digitally skilled nation. Go ON UK wants every individual, small business and charity to have the skills and confidence to benefit from new digital services. She currently chairs the Go ON UK board. She was appointed Commander of The Most Excellent Order of the British Empire (CBE) in the 2013 New Year Honours for services to the digital economy and charity. In February 2013 she was assessed as one of the 100 most powerful women in the United Kingdom by Woman’s Hour on BBC Radio 4. In the same month it was announced that she would become a life peer and enter the House of Lords as a crossbencher. The award was presented on 7th November 2014 in Oxford, at an awards dinner.